Kevin Colbert has been at the helm of the Steelers personnel decision-making since 2000. After a decade as the Pro Scouting Director for the Detroit Lions, Colbert was hired by the Steelers as Director of Football Operations in 2000 (the team did not have a general manager). In 2010, they gave Colbert the title of General Manager. 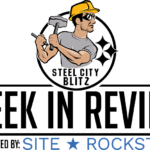 In both job titles, Colbert has been in charge of drafting operations. This season will be his 20th in charge of the team’s draft. With 19 years of data, there are some conclusive trends that can be gleaned about which types of players Colbert prefers to draft. For purposes of this analysis, all of the data will relate to the last 19 seasons (2000-present) unless otherwise noted. Additionally, “Power” Conferences will refer to the current “Power 5” (ACC, Big 10, Big XII, Pac-12, SEC) as well as conferences that automatically qualified to the BCS (ACC, Big 10, Big XII, Big East, Pac 10, SEC). What Is a Winning Program? Yesterday I discussed the Steelers penchant for selecting players from power conference schools. Today I will drill down on that even further. 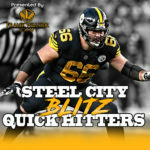 One of the common statements from Steelers brass is that they like players with a winning background, especially those that come from winning programs. Defining a “winning program” in college football can be difficult. For purposes of this analysis I’m going to look at schools that finished in the final AP Top 25 poll. Of the 4841 players selected in NFL Drafts since 2000, 1970 of them played on Ranked teams (40.7%). The Steelers certainly put weight on this as they lead the league in players chosen from Ranked schools. Of the Steelers 152 picks, 81 (53.3%) played on a team that finished in the AP Top 25. That 53.3% mark is not only the highest in the league but also the only one above 50%. In raw numbers, Cincinnati has chosen more players from Ranked schools (82) but the Bengals have also made more total selections (166). Cincinnati (49.4%) and Buffalo (49%) are the closest teams to the Steelers in selecting players from Ranked schools. The Steelers have particularly focused on this early in the draft. In the first round, 15 of their 19 picks (79%) have been players from ranked schools. Only Kendall Simmons (2002), Lawrence Timmons (2007), Bud Dupree (2015), and Artie Burns (2016) came from unranked teams. Even Ben Roethlisberger, whose selection is the sole departure from the “power conference” trend of first round picks, played on a Miami (OH) team that finished 10th in the AP Poll. In the second round, 10 of the 17 draftees have come from ranked teams. Obviously, the Ricardo Colclough selection from a Division II school was one of the unranked players. Though interestingly enough Tusculum finished 17th in the American Football Coaches Assiciation D-II poll. The other players from unranked schools were Marvel Smith, Antwaan Randle El, Marcus Gilbert, Mike Adams, Le’Veon Bell, and Sean Davis. Four of these players were chosen within the last 8 years. In total, this makes for 25 of the Steelers 36 first and second round selections that came from Ranked schools. 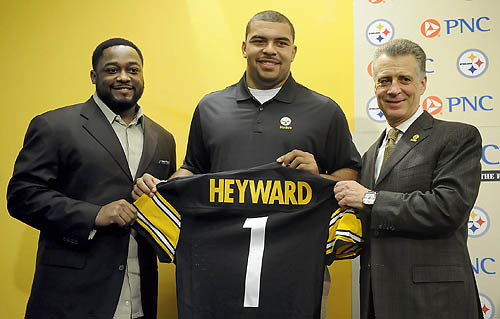 The reason the Steelers as a team are over 50% of draftees from ranked schools is because of their first round picks. If the first rounders are taken out of the equation, the Steelers have exactly have of their picks from Ranked schools. However, the emphasis placed of selecting players from winning programs in the first round bumps this number well above the 50% mark. Interestingly, the Browns lead the league in aggregate with 21 of their 25 first rounders coming from Ranked schools. But that priority falls away quickly as the Browns in total have used 73 of 163 picks (44.8%) on players from ranked schools. 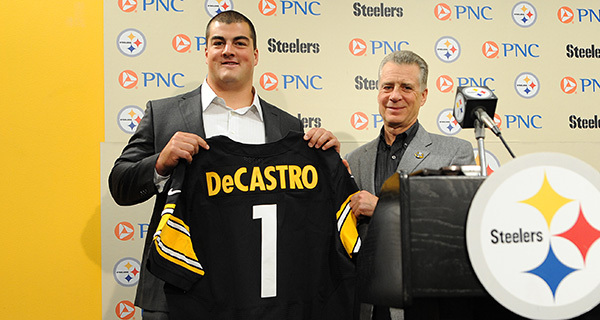 Like the second round, the Steelers have chosen 10 players from ranked schools in both the third and fourth rounds. 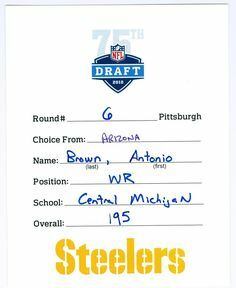 Some of the Steelers best mid-round selections have come from Ranked schools, including Larry Foote, Mike Wallace, Max Starks, and Chris Hope. All of these players went on to play for other teams after the Steelers as well, which means that the Steelers did a good job in scouting and identifying their talent during the drafting process. The top third and fourth round players that came from unranked schools all came from non-power conference schools. Ike Taylor, Emmanuel Sanders, and Willie Colon are easily the top of the pack. This gives some creedance to the notion of either focusing on players from non-power conferences or from Ranked schools in the mid-rounds of the Draft. In the later rounds, once again about half of the Steelers selections have been from ranked schools. In total 36 of the 74 picks in the 5th-7th rounds have played on ranked teams. Of Colbert’s best late-round picks, it is noteworthy that 5 of the top 7 came from non-power conference schools. However, 3 of those 5 were ranked schools. Antonio Brown’s 2009 Central Michigan team entered the AP Poll in Week 14 after topping Ohio in the MAC Championshio and finished 23rd after a double-overtime win over Troy in the GMAC Bowl. Chris Kemoeatu played on Urban Meyer’s 2004 Utah team that went undefeated and stomped Pitt in the Fiesta Bowl. Brett Keisel’s 2001 BYU squad finished 25th in the final AP Poll after starting the year 12-0 the dropping their last two games. Clark Haggans and Kelvin Beachum were the two best non-power conference players selected from unranked schools. In addition to Brown, Keisel, and Kemoeatu, William Gay and Vince Williams were the top players chosen from ranked schools. Do Players from Ranked Schools Perform Better? 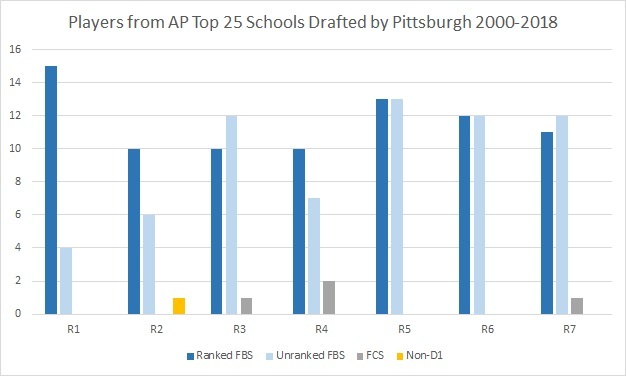 In conclusion, Kevin Colbert’s affinity for drafting players from Ranked schools does have some statistical significance. The Steelers have selected a higher percentage of players from ranked schools than any other NFL team and have a definite preference for drafting from ranked schools in the first round. Of the top 25 players in Career Approximate Value (CarAV) that Colbert has chosen, 18 came from Ranked schools. Breaking it down even further 10 of the top 12 came from Ranked schools, with only Lawrence Timmons and Le’Veon Bell as the outliers. Over the last two days I have detailed how the Steelers have a preference for players from both ranked schools and power conference schools. Given this, it is easy to trim down the final AP Top 25 poll into a manageable list of potential schools. Looking ahead to the 2019 Draft, expect their first round pick to come from one of the following: Clemson, Alabama, Ohio State, Oklahoma, Notre Dame, LSU, Georgia, Florida, Texas, Washington State, Kentucky, Washington, Michigan, Syracuse, Texas A&M, Penn State, West Virginia, Northwestern, or Iowa. In the later rounds, if the Steelers target players from ranked non-power conference schools, watch for players from UCF, Fresno State, Utah State, Boise State, and Cincinnati. The Steelers currently have 10 picks in the 2019 Draft, so barring any trades it would be reasonable to expect at least 5 players to come from these schools. Who Shouldn’t the Steelers Draft 30th Overall?